I got into a (very polite) disagreement with Grayson from Debt Roundup in the comments section of his recent post, which argues that married couples should keep separate finances. (His post was in response to a recent debate Holly from Club Thrifty engaged in regarding joint finances – in print and on TV.) My position was that Grayson does not actually keep separate finances in his marriage because he and his wife have a joint account. As far as I understand, they are paid into separate accounts and contribute a certain amount each month to their joint account for household expenses, while they pay for their hobbies and individual personal expenses from their separate acounts. I created diagrams to illustrate each of these money management systems last year. What Grayson and I were discussing was whether “separate finances” should mean both truly separate and what I label as partly joint and partly separate (or partial pooling). I use the term separate only for fully separate and he uses the term for both systems. I looked back at some academic papers I read when I did my series on joint and separate finances and found the definitions of the relevant terms. I don’t usually use the academic terms for these money management systems because they are not the most common terms, preferring the ones I listed above, but in my mind I have exact correlates. the female whole wage system in which women manage all the money except the man’s personal spending money. the male whole wage/housekeeping allowance system in which men either manage all the money (which may leave non-earning wives with no personal spending money) or men manage most of the money, except for the woman’s housekeeping allowance. the joint pooling system in which couples pool all the money, usually in a joint bank account and in theory manage it jointly, each taking money out as needed. the partial pool in which couples pool some of their income to pay for collective expenditure and keep the rest separate to spend as they choose, without having to discuss it with the other partner. finally, the independent management system in which both partners have their own independent incomes from earnings or state benefits which they keep completely separate and each partner has responsibility for different items of household expenditure. In my language, I call the female whole wage, male whole wage, and joint pooling systems “joint finances,” the partial pool “partly joint and partly separate,” and the independent management system “separate.” However, from this paper I realize that I am wrong in saying that the partial pooling system should not be under the umbrella of separate finances. This paper says that the first three systems, the ones I call joint finances, are “systems in which money is constructed as collectively owned and couples operate more or less as single economic units” and that the second two systems, the ones I call partly joint and partly separate and separate, are “individualised systems in which money is perceived as individually owned and couples operate largely as two separate autonomous economic units.” So if we have to assign everything in the continnum between the two poles of joint finances and separate finances to one or the other, partly joint and partly separate should go toward separate. This whole discussion got me thinking about all the different aspects of marital finances that can be kept joint or separate, because there really is a lot of gray area. I delved into this a bit when I wrote about the realities of account ownership, which detailed the possible difference between how you might think of an account and how it legally is assigned. For example, Kyle and I think of our Roth IRAs as joint, but in reality they are individually assigned (the best we can do is name each other as primary beneficiary). Wow, that’s a long list with a lot of different ways to split up expenses, possessions, and savings! It kind of makes my head hurt. Kyle and I love having joint finances and we don’t want to start down the slippery slope of determining what costs should be shared and what should be paid individually by using the joint with allowances system. We don’t even keep track of what money went toward whose individual expenses. I really don’t know how couples who keep separate finances decide where to draw the line between shared and individual expenses! In thinking this over more, I see the crux of the issue as being where your paychecks go. In the independent management and partial pooling systems, you start with separate money and may choose to join part of it for common expenses. In the whole wage and pooled systems, you start by sharing your money and may choose to separate part of it for individual expenses. When you hear the terms joint and separate finances, what do you think of? Where do you draw the line in your marriage between what is shared and what is individual, if you do? 44 Responses to "What Constitutes Joint or Separate Finances?" Hey Emily, thank you for writing this. I enjoyed the polite debate with you over on my blog. I think this breakdown is quite helpful for anyone looking into this matter. Great work! One more category (that I would guess is separated out) is expenses from past marriages – alimony, child support, etc. I construe the idea of separate finances really narrowly – pretty much only where there are only individual accounts and payment for joint things (cars, housing) are split 50-50 regardless of any debt and income differential. Anything else, to me, is joint. I guess I can’t really know without being in that situation, but I would hope that I wouldn’t exclude alimony/child support from my shared finances. It seems similar to debt to me, and Kyle and I shared that. Yes – as soon as you’re taking someone else’s finances into account in making your decisions there is a joint element to your money in my opinion. In roommate relationships, “fair” is 50-50, or whatever agreement you came to before moving in together. I also think that “fair” has no place in money conversations between life partners. It’s more important to come to an agreement about what’s best for the family. I totally agree that “fair” has to be thrown out the window when you enter a lifelong partnership. When I think of joint finances, I think of all of the money and expenses pooled together. This is what my husband and I do- we have one bank account. It is much easier to keep up with that way. In thirteen years, this has never caused a problem for us- we discuss larger purchases and tell each other if we spend any money. We have not needed to make a rule about which purchases are discussed and which aren’t, it is just natural for him to tell me if he goes out to lunch or something and for me to tell him if I do. I guess our system is closest to female whole wage, but I do not give him an allowance or anything. I would be happy for him to be in charge of it, but keeping track of this stuff makes me less miserable than it does him, so I do it. We consider things like retirement accounts (and student loan debt) to belong to both of us, even though the accounts can’t technically be joint, as you said above. We have two cars right now, and we both own them and we both drive them. I mean, we each have our own toothbrushes, but really, we consider that we own everything in common. This makes sense for us- firstly, we married with the belief that marriage is a life-long covenant. Secondly, we married very young and had really nothing between us when we got married. Neither of us had any property or fortune to protect. Everything we have, we have accumulated together, debt and assets alike. I have nothing to add to your comment. That exactly how we operate! I love it! I see two issues: how the law treats your assets & liabilities, and the day-to-day logistics and information-sharing between spouses of their household income statement, cash flow, and balance sheet. A couple could have separate finances but under the law they have joint finances, or that a student loan debt that is treated as a “joint expense” which is only under one person’s name is a legally separate liability. I believe in being transparent with each other and being informed of your rights and obligations in the marriage as it relates to your finances. Both of these goals can be achieved whether a couple do joint or separate accounts. Yes, I agree those are two facets to the question. It’s strange how moving states can change the legal part of the equation! Emily, I’m glad you already have joint finances if you’re planning to have kids. I know so many people who continue to keep separate scorecards then argue about all kinds of issues- diapers, daycare, the soccer lessons that mom wants and dad doesn’t. I honestly don’t get the point of having separate finances if you’re married…especially with kids. It’s a foreign concept to me. 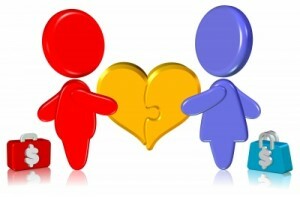 Holly@ClubThrifty recently posted..Should Married Couples Combine Finances? 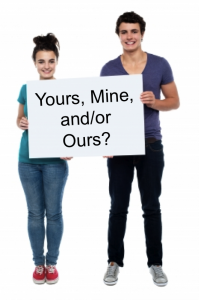 Our practice of joint finances really goes to what we believe about marriage. While I think joint finances will make the logistics of raising children easier, we would have pooled money with or without them. I see joint like you – everything going into and out of one ‘main account’ or several, depending (mortgage etc). That’s how my parents do it. Alas, I’m not married, but we have a shared account for rent and bills. Some ‘dates’ go on that. I wanted to buy art for our house, but the response from the BF indicated it would probably be *my* expense (which, should it end, would make sense… in some ways). Likewise, all my clothes shopping, or eating out without him, are my expenses (and his drinking etc, his). We bought a herb garden, and I assumed it was my expense, he would have happily shared it when discussed. To us, the shared account makes sense, and also (seeing we travel internationally) gives back up cash source. SarahN recently posted..What are you hiding behind? 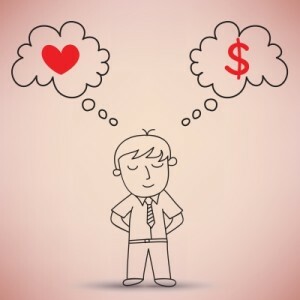 I’ve thought for a while about how to respond… I think I’ll just leave it at: my philosophy of marriage leads to the conclusion that married couples should have joint finances and non-married couples should keep their money separate. I’m gathering (and I’m not at all offended if this is the case) that you probably don’t support living together prior to marriage? I think the living arrangements and the finances that involves, drove us into a sharing situation. I’m not sure if “support” is the right word to use or not… I’m supportive of live-in relationships of people I know IRL if I know they don’t share my views on marriage. But yes, another conclusion of my philosophy of marriage is that non-married couples shouldn’t live together. That is to say, Kyle and I didn’t live together before we got married. Basically, I think marriage is really important and I draw a bright line in my relationship with Kyle at the point we got married, and in many ways we behaved differently after getting married from before we did, like sharing finances. I don’t expect everyone to have the same views as I do, but I do write from that POV. It’s a big cultural thing in Australia, and it seems less and less people share your view, probably partly due to the multicultural nature of Australia and the intense decrease in people identifying with a religious faith (according the census, as well as asking people). That being said, there are certainly people who wait to live together until marriage, though almost no one I can think of in my circle of friends and acquaintances, other than Christians of a slightly different faith community than me. My priest actually said he’s married very few people who weren’t living together before marriage!? I’m happy to read different points of view, and will comment with my alternate point of view. I hope that’s ok, and I don’t cause any offense. I may ask questions to clarify why you hold a position, as I hope my readers/commenters would to, and you’re most welcome to challenge me back! I don’t mind your questions. Premarital cohabitation is actually a topic I’m quite interested in and have written about on my personal blog, but it isn’t topically very closely related for EPF. The reason I limited my earlier comment was that I had the impression you were correcting me and I didn’t want to sound defensive in my response. I’m not sure if my church marries cohabiting couples. We have to “pass” premarital counseling to be married through the church and I don’t know if that’s a screening criterion. I do know couples have been held up as positive examples for ceasing to cohabit until the time of of their weddings. But our church is very conservative. I’ve attended (ostensibly) religious weddings of cohabiting couples through other churches/organizations. I agree with you, Sarah! My boyfriend and I have talked about ways that shared expenses might work if we lived together and some modifications/decorations to the home would be joint and some would be shared. An appliance breaking, for example, would be shared, but if only one of us wants the thing someone wants to spend money on, it’s an individual expense. We keep everything separate. Although we have purchased a car together, and an investment property. Other than that, we have no joint accounts. No arguing over finances. I pay most of the bills, she contribute a bit by paying some utilities and a small payment to help. No Nonsense Landlord recently posted..Why Avoid Tenants with Credit Scores Below 600? If everything is joint, how do you do gifts or surprises for each other? You can easily buy a gift for a loved one! In Amex cards, only the main account holder can actually see all of the transactions… shared folks on the account can not see the main account holders purchases. Also, it’s easy to save cash from weekly ATM runs. Just save a $5, $10, $15, etc over a couple of weeks and you can buy the gift easily. People who use the “surprise gift” factor as a reason to not get joint accounts are silly. Tara @ Streets Ahead Living recently posted..Are we bad at math or are we in a self-fulfilling prophecy? My wife and I have fully joint accounts. The only separate accounts we have are 401(k)s, treasury accounts for i-bonds, and IRAs. We found joint accounts to be so much simpler for every day finances. Not to mention the aspect of trust that we have for each other. I wish we could join EVERYTHING financially – legally it’s both of ours, anyway! I believe in the legal standpoint, probably because I have lawyers for siblings. All money is legally joint in marriage (except in cases of prenup agreements) so to keep it separate in marriage does not make sense to me. But like a previous poster mentions, all debt in one name, although in our marriage which we treat joint, is actually not, so it’s a funny pickle situation when you consider the income coming in is joint but the money going out to debt is actually going to a non-joint debt. It depends a bit on the state how the property is treated, but in our case everything we acquire during the marriage is joint. What you said about joint money going toward individual debt is a funny one – I hadn’t thought of it before! I guess my approach to joint vs separate finances is that if you have a portion of your finances combined, you have partially combined finances. If you have all of your finances combined, you have combined finances. Zero = separate. My fiance and I take the approach of having one joint account which the mortgage and home insurance comes from, and the rest separate. When we get married we may change it to mostly combined. I think if there is room for nuance I’d categorize it that way, but of the joint vs. separate larger umbrellas I agree that partial pooling is under joint. I think you’ll love having joint finances after you’re married! I like your definitions. When I hear separate, I am mostly thinking of non-cashflow items being separate. Different savings accounts, debt, etc. We are mostly joint, except for logistics and cash-flow. Who pays our monthly expenses is arbirtrary in my mind, and a logistical detail. I track our expenses monthly, and we don’t budget tightly any more, so it isn’t a big deal. I call our system joint finances. That is an interesting separation between cash flow and savings. I suppose the reasons why you would want to be joint or separate would play into which you join or separate each component. I think where all the money “starts” might be a little antiquated when direct deposit can split the money all up a once, or when how it travels between bank accounts is more an issue of whether employers will split paychecks or what accounts were linked before the marriage than an issue of where you “see” the money going. For example, with our student stipends, the largest percentage is paid straight to our joint account, but our smaller “allowances” and money for retirement and some charitable and loan contributions are paid directly to our separate accounts, with no transfers required. We’ve agreed together on the amounts to contribute to each, but you can’t really have a “joint” IRA, and the student loan was already linked to one of our individual accounts before the marriage (so the charity comes out of the other person’s “individual” account). So the money starts as partial pooling, but only the allowances are separate from the joint budget. In conclusion, I think that the fact of having separate accounts is less important than whether you actually treat your incomes as a shared resource. More a behavior issue than a bank account one. Honestly I had not thought about paychecks being split when they hit your personal accounts. I can’t even get my university to direct deposit my paycheck! But I think that it being easy to transfer money between accounts does not mean that you should not put in the effort to make your account structure match your conception of the ‘ownership’ of your money. Why not switch the student loan, giving, and retirement contribution to come out of the joint account? It took us 6 months or so after we got married to get around to it but it wan’t difficult. I sent you an email last week, also… I’d love your insight on my new project! Thanks! We’ve been married almost 10 years and still don’t have joint bank accounts. I don’t want to join her mega bank and she doesn’t want to join my credit union. We each have our reasons. Over the years it has become less and less important to actually combine checking accounts. We do have a couple of joint credit cards in addition to the separate ones we had prior to marriage. We both use the joint credit cards for the majority of our purchases. Since I bring in 95%+ of the income (she takes care of the kids and earns hustle money from home), I pay the bills out of my checking account. I ask her to contribute by paying portions of our joint credit card bills every few months. We definitely view all our income and all our expenses as joint. This goes in line with our long-term view of marriage. Though she still sometimes feels the need to justify certain expenses to me (shoes for the kids, new church dress, etc. ), but I ultimately trust her judgement that she will make good decisions in managing the household. I find your situation so interesting! You’ve clearly become comfortable and adept at your current system, which seems very close to joint especially since the vast majority of the household money is going through your individual account. Does your wife have any savings that is separate from you or just the checking? And is there any way to compromise at this point and align your accounts with your values? Kyle and I also refused to use each other’s banks that we had before we got married. It took a few months, but we were able to find one that we could agree on (Ally). BTW, I like your site a lot. I was searching for that Fidelity age based retirement milestones reference since I remember reading it a while back. Your site came up in the search results and I appreciate your insights. To answer your questions: My wife does have an IRA and a few targeted saving accounts with her bank (BofA). I used to be with BofA a long time ago and can appreciate your feelings toward them…thus I was so adamant about not re-joining them. I also have accounts with ING/Capital One. We’ve half-heartedly tried to get her as a user on those accounts over the last few years, but each time didn’t complete the process. She initially didn’t like the idea of an online bank. We’ll give it another go soon I’m sure. Her loyalty to BofA used to be because she had a joint account there with her father, but he’s now moved onto a different bank. Soon we’re going to look at credit unions in our area since my credit union is not local. I don’t think we’re ready to completely cut ties with a brick and mortar checking account yet. The first few years it bothered her that we didn’t have joint accounts, like it was a lack of commitment, but we’ve become comfortable in our current system so we are slow to change it at this point.